I recently took a trip to Minneapolis. 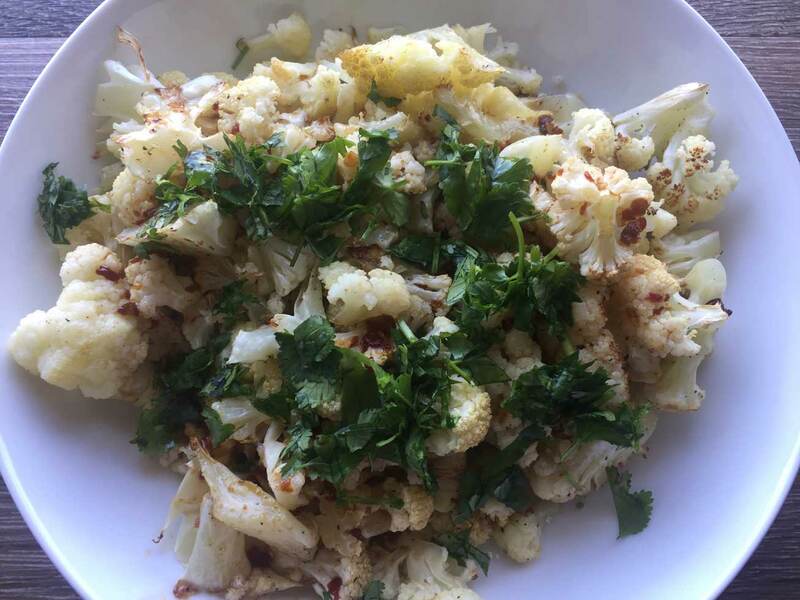 Cauliflower is served everywhere which is great because I love it! After we ate at a few restaurants we decided that the Asian BBQ Cauliflower we ate out of a food truck was our favorite. I don’t think I recreated it exactly but the flavor combo in this dish is great! I think more lime juice would make it even better! Preheat oven to 400 degrees. Toss cauliflower with olive oil, salt and pepper. Roast for 30 minutes on a baking sheet. Mix together remaining ingredients except for cilantro. Heat on the stove. Do not boil.